Timothy1 began college with high expectations for his academic performance. Earning good grades in elementary through secondary school came easy to him, while he was living with his parents and had a structured schedule. During the summers, Timothy spent a great deal of time playing online role-playing games. Although his parents worried that he spent too much time indoors, they felt reassured when school resumed after summer vacation, and he continued to get good grades. After graduation, Timothy looked forward to attending college in a different state where he could live in a dormitory and not have his life managed by his parents. He began spending more time playing online games, often staying up until 2:00 or 3:00 in the morning. On the rare occasions when he attended morning classes, he usually slept through them. Several times, he claimed to be ill in order to get his absences excused. With nobody to “nag” him about his work, Timothy failed to complete his assignments or schedule time to study for exams. If he stopped playing games to study, he found he could not concentrate on his textbooks because he kept thinking about what he might be missing in the games. When his midterm progress reports indicated failing marks, Timothy claimed that the classes were “boring” and accused the teachers of having unrealistic expectations. When his parents called, Timothy would tell them that everything was fine. After failing most of his classes during his first two terms, Timothy was dismissed from school. Some video games promote violent and other negative behaviors (such as killing people or animals, drug or alcohol abuse, disrespect for authority, criminal activities, and gender or racial stereotypes) that can have additional harmful effects on children beyond those mentioned in this article. Children who play violent video games have been shown to demonstrate higher levels of aggressive behavior and may become desensitized to violence. Younger children are especially vulnerable to these effects, as are children with learning disabilities or other types of emotional or behavioral concerns. * Many organizations that are concerned with the well-being of children and adolescents have information and recommendations about these types of games on their Websites. Although excessive game playing can be a problem at any age, the negative consequences for education can often be avoided when a child lives at home where parents can provide structure and rules that keep him or her engaged in school and other activities. The dire effects may not become evident until the student transfers to an environment where his or her daily activities are not monitored. Parents and educators should be alert for warning signs throughout the elementary and secondary years, and help young people learn to manage their game-playing behavior before they are on their own. Although educators have long had to face a variety of addiction problems in students, Internet Gaming Disorder (IGD) is a relatively new concern for them. Over the past several years, students have gained easy access to thousands of games they can play on computers, game consoles, handheld devices, and cell phones. Children begin playing games as toddlers, and most continue playing games into adulthood. By one estimate, the typical “gamer” in the United States is a 34-year-old male who has been playing games for at least 12 years.2 Electronic games are typically played for fun, and the vast majority of players do not have serious problems with playing, other than perhaps feeling as though they have wasted time they could have used doing something more productive. Game developers have designed reward structures that ensure maximum engagement, and users who begin playing for fun often find themselves developing many of the characteristics of addiction. Most games have prizes (such as stars, points, or “money”) or promotions (such as levels or ranks) that a player can earn by playing more often and for winning. A particular game genre that lends itself especially well to “addiction” is Massive Multiplayer Online Role Playing Games, or MMORPGs. This category includes games such as World of Warcraft, Borderlands, Guild Wars, and Final Fantasy. Hagedorn and Young11 offer an overview of this type of game. Users create an avatar, or game character, and engage in a wide variety of tasks such as solving puzzles, fighting battles, collecting valuable gems or coins, and exploring different maps or worlds. Players can join others online and work together in these activities. In many cases, players can gain rewards or “level up” in some abilities easily at first, but as they continue to play, greater skill and time are required to advance. Players can become quite invested in the accomplishments of their avatars and often take great pride in reaching new levels or achieving higher status.12 Even players who do not show other signs of IGD may spend many hours a day playing these games. Monitor game playing and check the content of the games your child plays. Encourage educational rather than violent games. Encourage your child to play video games with friends or in other small groups rather than alone. While not completely prohibiting video games, set time limits on game playing, just as you would with viewing television or videos. Follow game manufacturers’ recommendations regarding the physical configuration of the room, such as seating distance from the screen, lighting, etc. You may need to temporarily prohibit gaming for some period of time when appropriate, such as when the child neglects chores or homework. Adapted from Mark Griffiths, “Online Video Gaming: What Should Educational Psychologists Know?” Educational Psychology in Practice 26:1 (March 2010):35-40. doi: 10.1080/02667360903522769. Another common concern with video games is the influence of violent content on the attitudes and behavior of those who play. Although that is not the focus of this article, a brief overview of concerns is listed in Box 1, along with some resources for further reading. Griffiths has suggested several ideas for parents and educators to reduce the chances of a child developing IGD. Many are “common sense” recommendations, such as limiting game time for children and encouraging more social and outdoor activities. 16 (See Box 2.) 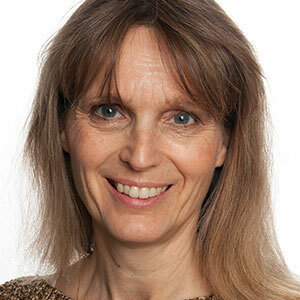 Because addictive behaviors often co-occur with depression, anxiety disorders, or Attention Deficit/Hyperactivity Disorder (ADHD), mental-health concerns also need to be considered and addressed.17 Van Rooij and colleagues18 have suggested that the gaming industry needs to take some responsibility in reducing IGD. They encourage “warning labels” on games that explain IGD, time-out limits on Internet games, in-game referrals to professionals, and/or self-help materials. Awareness is always the first step in addressing any type of problem or concern. School personnel should be informed about the “red flags” for IGD.19 (See Box 3 on next page.) Schools can also offer information to parents and ask them to monitor their children at home for warning signs of problematic game playing. Finally, the students should learn about IGD so they can recognize symptoms in themselves and/or their friends. Students are often more impressed by hearing stories from other students than lectures from adults, so a good strategy would include having students talk to other students about their own experiences. For example, students who have struggled with gaming problems could be chosen as guest speakers in classes or for school assemblies. If multiple students have gaming problems, a support group could be formed with backing from the school’s counseling center, where students could discuss their struggles with others who have similar concerns. Educators should routinely inquire about electronic game use when they encounter students experiencing academic failure. In elementary and secondary schools, the teachers typically have the most interaction with students, so they are the logical ones to bring up the topic. In college, those duties are more likely to be assigned to advisers, dormitory deans, and/or mentors. For example, when a college student receives a negative progress report from an instructor, his or her adviser(s) and/or freshman mentor also receive a copy of the report. The adviser or mentor should ask about game-playing habits as part of exploring paths to success. Video games appear to be the most important thing in the child’s life. Even when not playing, he or she is thinking or talking about playing. The child plays games in order to change his or her mood—to get a feeling of excitement, to ease boredom, or to calm down when feeling stressed. He or she plays for long periods of time (more than three to four hours per day) and seems to need more hours to get the same effect over time. When unable to play games, the child appears grumpy, anxious, sad, or preoccupied with thinking about the games. The child gets into arguments with others about how much time he or she spends playing games, or does not accomplish activities necessary for success in school, work, or social relationships. The child expresses a belief that he or she plays too much, or indicates a desire to quit or cut back on playing but is unable to do so. Adapted from Mark Griffiths, “Online Video Gaming: What Should Educational Psychologists Know?” Educational Psychology in Practice 26:1 (March 2010):35-40. doi: 10.1080/ 02667360903522769. As with other behavior concerns, appropriate response by school personnel depends on the age of the student. At the elementary and secondary level, teachers can discuss their concerns with the student and parents, and/or refer the child to a school counselor. At the college level, advisers or mentors can discuss these issues with the student or refer to the school counseling office. It is not uncommon for course instructors to have conversations with students about reasons for their poor performance. A survey or checklist of addictive behaviors and substances could be part of the interview with students who are identified as having academic or mental-health issues, whether that interview is with a teacher, advisor, or school counselor. School administration, counseling, or advising offices should keep a list of community resources for mental-health and addiction issues, in order to refer students as needed. Although school personnel can identify risks and take a variety of actions to prevent IGD, some students will need to seek professional counseling for this problem. 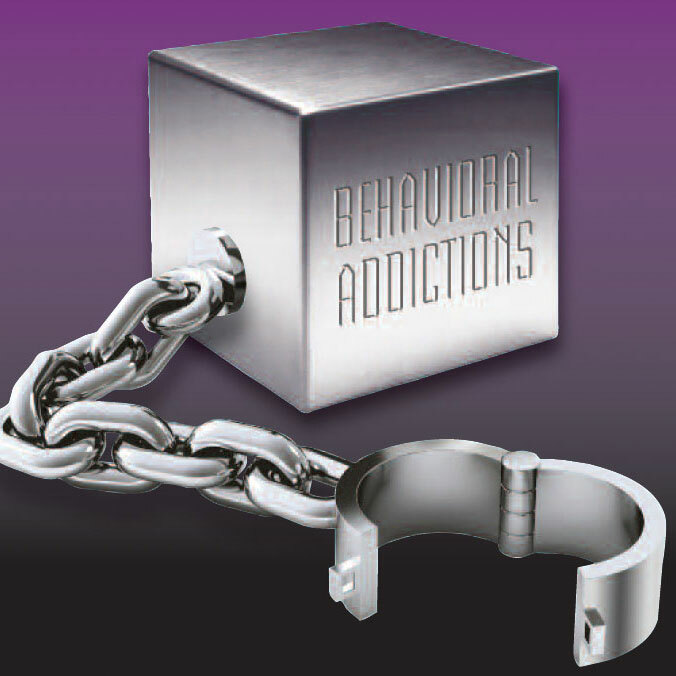 Cognitive Behavioral Therapy (CBT) is one of the most common treatments for many types of addictions, including IGD.26 CBT seeks to train the counselee to identify and restructure “automatic” thoughts and underlying beliefs that interfere with optimal functioning and lead to negative behaviors such as addictions. Family therapy may also be recommended for youth when it appears that family issues have contributed to the problem.27 The family therapist attempts to identify patterns of family interaction that lead to and maintain negative behaviors in its members, and to help them develop healthier alternatives. In some cases, young people (typically boys) have been sent to video game “boot camps” where they are forbidden to use any type of media and must live in the wilderness for several days.28 Drugs such as Wellbutrin (an antidepressant) and some types of ADHD medications have been tried in a few studies, with positive effects, 29 likely because they address the underlying mental-health issues that co-occur with addictive behaviors. The role of educators in these cases depends on the age of the student. In some cases, educators may be consulted or even included in the treatment protocols; for example, monitoring the student’s computer use during school hours. Teachers at religious institutions such as churches and schools should not expect any fewer problems with this issue than teachers at public institutions. Video games are an “acceptable” vice for many Christian students. Compared with alcohol, for example, for which students can be reprimanded or punished for simply having the item in their possession, video games are identified as problematic only when they interfere with other activities (as with the case of Timothy). Even when schools have installed filters in place to prevent students from accessing certain Websites, it can be difficult to limit access because games can be played on phones or other devices that do not rely on school networks. For this reason, schools may require students and teachers to sign computer-use contracts, agreeing to avoid certain activities and sites during school hours and while using school equipment. Educators must find ways to meet the social and spiritual needs of students so that they do not seek fulfillment in undesirable activities. Gamers often believe they can find acceptance only within their gaming community, so educators should make sure they demonstrate acceptance and positive regard for these at-risk students. Religion may seem irrelevant to gamers who spend all of their time interacting in a fantasy world, so Christian values and beliefs need to be presented in a practical and attractive way to gain their attention and respect. As always, educators should endeavor to demonstrate the love of God through their interactions with all students, including those with addiction problems. Electronic games by all indications will continue to concern educators and others working with young people. Students have easy access to all types of games that may interfere with success in school. The biggest concern is the time dedicated to games, which detracts from other activities such as studying, homework, devotional activities, exercise, and socializing. Students who play for fun may end up developing more serious symptoms of IGD and may require intervention. School administrators and educators have a difficult challenge in identifying and addressing concerns with excessive video-game playing. Even when a student does not meet the criteria for a “disorder,” he or she may still struggle with setting priorities and accomplishing other important tasks. With careful observation and questioning, school personnel may be able to recognize potential problems and intervene appropriately. By considering the students’ mental, physical, emotional, and spiritual well-being, they can intervene at a variety of levels to help these young people gain an appropriate perspective of time, education, and relationships. Linda L. Ivy, Ph.D., is Professor of Psychology at Walla Walla University in College Place, Washington. She completed her doctorate in clinical psychology at the University of Oregon, and her clinical internship at Oregon Health and Sciences University. Dr. Ivy’s areas of specialization and interest encompass parenting interventions and child assessment. She teaches introductory psychology and social psychology to undergraduate students, and courses on counseling theories, psychological assessment, and addictions counseling to graduate students. Jean Oggins and Jeffery Sammis, “Notions of Video Game Addiction and Their Relation to Self-reported Addiction Among Players of World of Warcraft,” International Journal of Mental Health and Addiction 10:2 (April 2012):210-230. doi: 10.1007/­ s11469-010-9309-y. Daria J. Kuss, “Internet Gaming Addiction: Current Perspectives,” Psychology Research and Behavior Management 6 (November 2013):125-137. doi: 10.2147/PRBM.S39476. Luther Elliott et al., “The Contribution of Game Genre and Other Use Patterns to Problem Video Game Play Among Adult Video Gamers,” International Journal of Mental Health and Addiction 10:6 (August 2012):948-969. doi: 10.1007/s11469-012-9391-4. Ibid. ; Rune Aune Mentzoni et al., “Problematic Video Game Use: Estimated Prevalence and Associations With Mental and Physical Health,” Cyberpsychology, Behavior, and Social Networking 14:10 (February 2011):592-596. doi: 10.1089/cyber.2010.0260; Oggins and Sammis, “Notions of Video Game Addiction and Their Relation to Self-reported Addiction Among Players of World of Warcraft,” op. cit. Elliott et al., “The Contribution of Game Genre and Other Use Patterns to Problem Video Game Play Among Adult Video Gamers,” op. cit. ; Doug Hyun Han, Jun Won Hwang, and Perry Renshaw, “Bupropion Sustained Release Treatment Decreases Craving for Video Games and Cue-induced Brain Activity in Patients With Internet Video Game Addiction,” Psychology of Popular Media Culture 1:S (August 2011):108-117. doi: 10.1037/2160 4134.1.S.108. Bryce Hagedorn and Tabitha Young, “Identifying and Intervening With Students Exhibiting Signs of Gaming Addiction and Other Addictive Behaviors: Implications for Professional School Counselors,” Professional School Counseling 14:4 (April 2011):250-260. doi: 10.5330/PSC.n.2011-14.250. American Psychiatric Association, Diagnostic and Statistical Manual of Mental Disorders, op. cit. Oggins and Sammis, “Notions of Video Game Addiction and Their Relation to Self-reported Addiction Among Players of World of Warcraft,” op. cit. Mark Griffiths, “Online Video Gaming: What Should Educational Psychologists Know?” Educational Psychology in Practice 26:1 (March 2010):35-40. doi: 10.1080/02667360903522769; Mentzoni et al., “Problematic Video Game Use: Estimated Prevalence and Associations With Mental and Physical Health,” op. cit. ; Oggins and Sammis, “Notions of Video Game Addiction and Their Relation to Self-reported Addiction Among Players of World of Warcraft,” op. cit. ; Elliott et al., “The Contribution of Game Genre and Other Use Patterns to Problem Video Game Play Among Adult Video Gamers,” op. cit. Michael Kaess et al., “Pathological Internet Use Among European Adolescents: Psychopathology and Self-destructive Behaviours,” European Child & Adolescent Psychiatry 23:11 (November 2014):1093-1102. doi: 10.1007/s00787-014-0562-7; Antonious Van Rooij et al., “The (Co-)Occurrence of Problematic Video Gaming, Substance Use, and Psychosocial Problems in Adolescents,” Journal of Behavioral Addictions 3:3 (September 2014):157-165. doi: 10.1556/JBA.3.2014.013. Antonious Van Rooij et al., “Video Game Addiction and Social Responsibility,” Addiction Research and Theory 18:5 (August 2010):489-493. doi: 10.3109/16066350903168579. Griffiths, “Online Video Gaming: What Should Educational Psychologists Know?” op. cit. 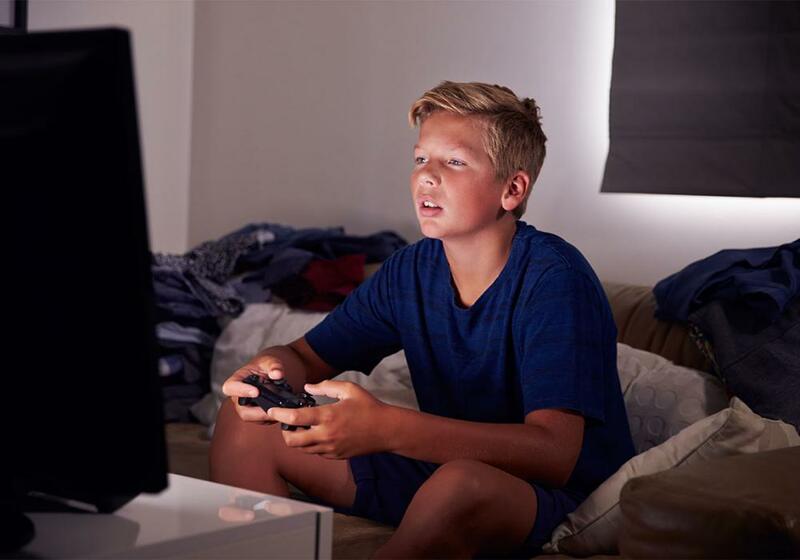 Van Rooij et al., “The (Co-)Occurrence of Problematic Video Gaming, Substance Use, and Psychosocial Problems in Adolescents,” op. cit. Kaess et al., “Pathological Internet Use Among European Adolescents: Psychopathology and Self-destructive Behaviours,” op. cit. ; Annette Melgosa and Rudy Scott, “Internet School Safety: More Than ‘Block It to Stop It,’” The Journal of Adventist Education 75:3 (February/March 2013):26-31: http://­circle. ­ad­ventist.org//files/jae/en/jae201375032606.pdf. Rudy Scott and Annette Melgosa, “Using Blocking/Filtering Technologies,” The Journal of Adventist Education 75:3 (February/March 2013):55-67: http://circle.­adventist. org//­­files/ ­jae/en/jae201375035513.pdf. Marko Skoric, Linda Lay Ching Teo, and Rachel Lijie Neo, “Children and Video Games: Addiction, Engagement, and Scholastic Achievement,” Cyberpsychology & Behavior 12:5 (October 2009):­ 567-572. doi: 10.1089/cpb.2009.0079. Ecclesiastes 3:1, 2 (NCV). Scriptures credited to NCV are quoted from The Holy Bible, New Century Version, copyright © 1987, 1988, 1991 by Word Publishing, Dallas, Texas 75039. Used by permission. Guangheng Dong and Marc N. Potenza, “A Cognitive-behavioral Model of Internet Gaming Disorder: Theoretical Underpinnings and Clinical Implications,” Journal of Psychiatric Research 58 (November 2014):7-11: doi: ­10.1016/j.jpsychires.­ ­2014.07.005. Kimberly Young, “Understanding Online Gaming Addiction and Treatment Issues for Adolescents,” The American Journal of Family Therapy 37:5 (September 2009):355-372. doi: 10.1080/ ­01926180902942191. Chulmo Koo et al., “Internet-addicted Kids and South Korean Government Efforts: Boot-camp Case,” Cyberpsychology, Behavior, and Social Networking 14:6 (June 2014):391-394. doi: 10.1089/ ­cyber.­2009.0331. Doug Hyun Han et al., “The Effect of Methyl­- phenidate on Internet Video Game Play in Children With Attention-Deficit/Hyperactivity Disorder,” Comprehensive Psychiatry 50:3 (May 2009):251-256. doi: 10.1016/j.comppsych.­2008.­08.011.